Boyzone singer Stephen Gately was found dead on Saturday, October 10, 2009, in his apartment in Port Andratx in Majorca, Spain, a few hours after a drinking binge with long-time partner Andrew Cowles. Post-mortem results confirmed claims by Gately's family that the Irish singer died from natural causes. The 33-year-old was born in Dublin, where his funeral will take place on Saturday. A court official in Majorca said the singer suffered a pulmonary oedema, an accumulation of fluid in the lungs. It has ruled out foul play, for now. Ganesha uses Vedic Astrology system to identify the factors leading to the early and sad demise of Stephen Gately. 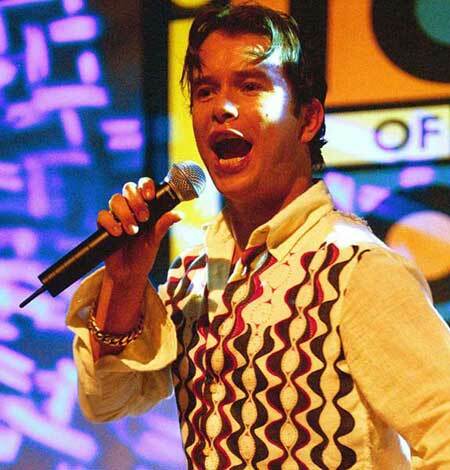 Stephen Gately was a promising singer with Venus in Rahu's constellation, and Saturn and Mercury in Aquarius. Sun in Pisces made him a sensitive person and a good artist. Mars in Gemini - an air sign denoting confusion - indicates that he was unable to use his potential properly. Ganesha observes that Saturn is in Cancer, a watery sign which is retrograde in his chart. On 10th October, 2009, transiting Ketu in Cancer was at 2 degree, applying aspect to his natal Saturn, and transiting Mars was at 2 degree 35 minutes of Cancer. Mars's transit over Saturn often provokes odd health conditions, mainly physical injury and even life-threatening accidents. Stephen died on October 10, 2009. In Stephen's case, this happened in watery sign and transiting Rahu was in exact opposition (less than 1 degree) to natal Saturn. So, Saturn was between two malefic planets Mars and Ketu. Also, Mars's transit over Saturn was heavy, and Ketu added teeth to it. Rahu's aspect indicates poisoning. Though transiting Jupiter aspects transiting Mars-Ketu conjunction, Jupiter was too weak to defend or save Stephen as it was in Capricorn, the sign of debilitation. Also, Jupiter was retrograde making. Also, transiting Moon was in conjunction with natal Mars when he died. The Moon-Mars conjunction intensifies emotions and makes one more passionate. Excessive haste or rash behaviour made him vulnerable. May Stephen Gately's soul rest in peace.